Make it a "Mountain of a Mother's Day" in Franklin NC! This is a yearly sale that I personally always look forward to. There are some bargains to be had, folks! Vegetables, hostas, lilies, roses, irises, herbs, flowers... all proceeds to benefit the beautification of Franklin. Main Street Franklin 9am to 4pm... and on front porches throughout Macon County all day! This yearly event showcases the artistry and history of quilts, and the legacy they represent. 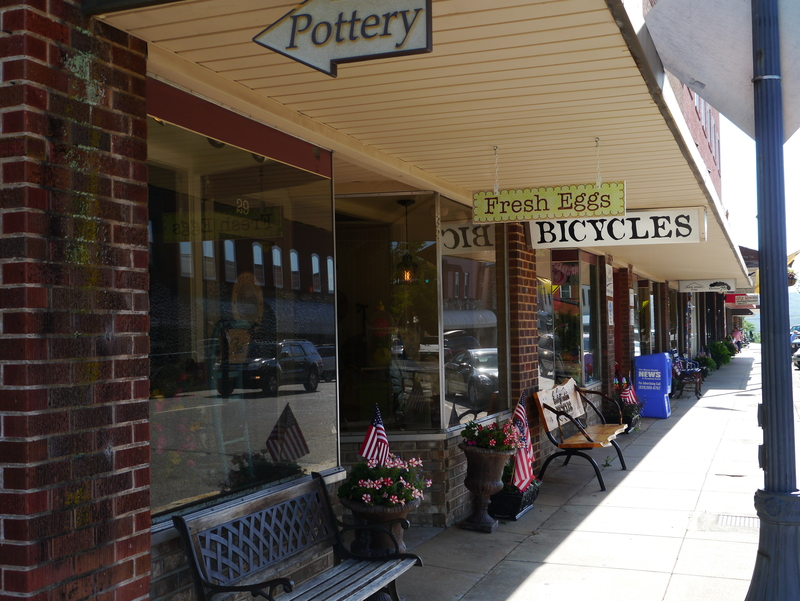 Most events are held downtown, but be sure to ask for a map of the Macon County Quilt Trail, too. Call Linda MacKay at 828-524-7766 for more info. If Mom likes sewing, be sure to check out my personal favorite shop - A Stitch In Time! A perfect event for Mom in the Gem Capitol! Watch for signage at the Community Center on Georgia Road, at the corner of 441 and Highlands Road... and if you own a jewelry-related business bring your license to get into the wholesale show on Hwy 441N/Sylva Road at Watauga Road. Main Street - All Day! Give Mom what she REALLY wants - a day of shopping! There are so many unique stores downtown now... and Dad or Hubby can chill out down at the Rathskeller Coffee Haus or the bar at Outdoor 76. Top it off with a lunch she's sure to enjoy at Hazel P.'s. A day like this is sure to get you points with Mom! Magical entertainment for Mom and the kids at our gorgeous facility. Mystery, drama, romance and comedy? I'm IN! If you've eaten at The Bowery before... enough said. If you haven't... why not?! It's Kelly's FAVE! On the menu for Mom - Roast beef, ham, fried chicken, dressing, au gratin potatoes, green beans, creamed corn, Vidalia onion relish, acorn squash soufflé, cabbage casserole, fried okra, calico salad, carrots, creamed cauliflower, coleslaw, cornbread, rolls, strawberry shortcake and more! This is all you can eat, so wear your loosest pants! See what made us the "Top Small Town" for outdoor activities - go hiking, biking, paddling or fishing with Mom today! Whatever you end up doing with Mom this Mother's Day, I hope you enjoy your day in this wonderful town. Mom, if you're reading this... hop in the car and come "home" for some mountain fun!